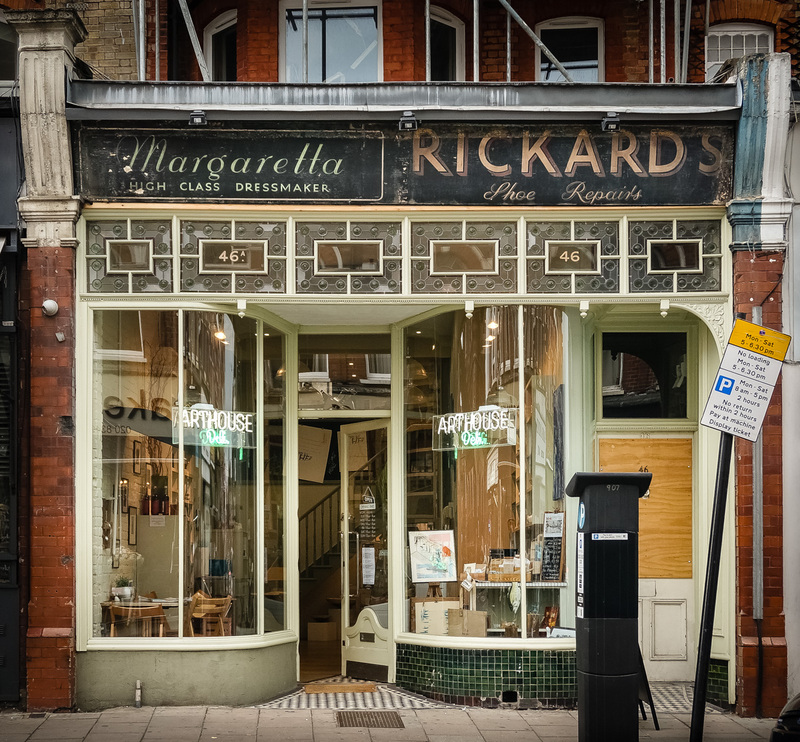 Margaretta Rickards (Arthouse Deli), 46 Topsfield Parade, Tottenham Lane, Crouch End, Borough of Haringey, London N8, 2014 • I thought this was a gallery when I photographed it, but it’s actually a food shop related to Crouch End’s Arthouse cinema – there’s an article about the transformation here. Nice windows! Stunning. The latest ones you have photographed are amazing.